To a Coorgi home and back via Taj Clubhouse! Home cooked food is the best! But whose home? Gary of the Masterchef Australia's fame, I think put it aptly. "Food is never as good as your mom's. Or mine." "What is 'authentic? I'm a Coorgi, married to a Coorgi, and both homes have completely different styles of food," was how the conversation started, a few minutes before we walked into Clubhouse, the all day dining at Taj Clubhouse! Do both homes have 'akki otti?" 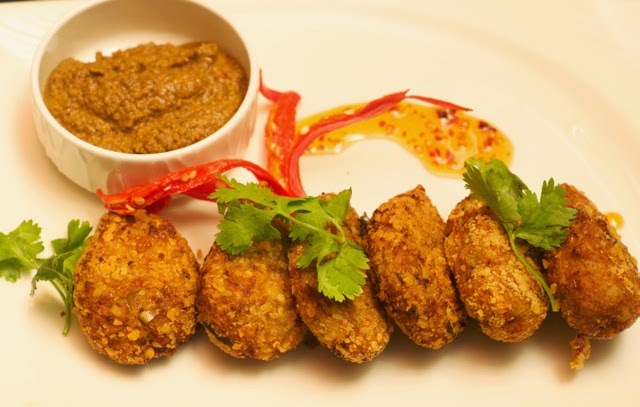 So, Taj Clubhouse decided to partner with a Coorgi Chennaite to bring in flavours from the Coorg region. I thought the move was excellent. No matter how much you stick to your roots, there is room for 'experimentation' with flavours in a 5 star environment and partnering with a localite might help mitigate that! Yesterday, it seemed to have worked! I could have been eating all this at a home in Coorg and wouldn't have known that it was made in a 5 star hotel. I learnt that Coorgis grow a lot of cardamom and so there is a heavy infusion of cardamom in their food. They also apparently grow rice and so every bit of the rice is used for something. So the husk is one roti (or otti as they call it), another part is a 'puttu' and a different part is a different puttu! And I heard that their cuisine is called the Kodava cuisine. Deep fried dishes were the order of the day! At least the beginning of the evening. Mushrooms deep fried with crumbs. Fish, minced and deep fried with crumbs, raw banana, yep, deep fried with crumbs. But every deep fry felt and tasted like a home made deep fry! Light, fresh and tasty! The one and only non deep fried dish was a juicy, succulent chicken that vanished in no time. 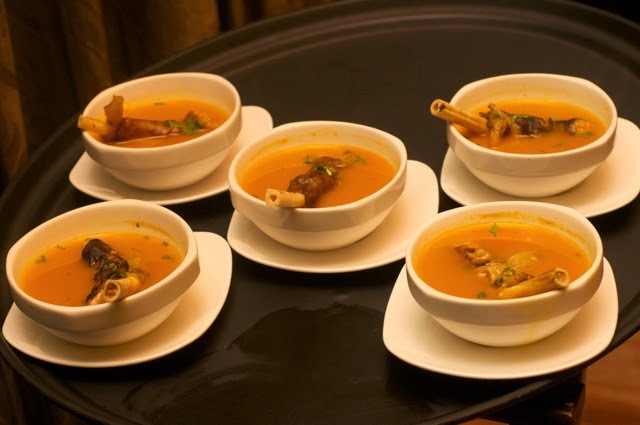 The 'attu kaal soup', or the lamb leg soup was excellent. 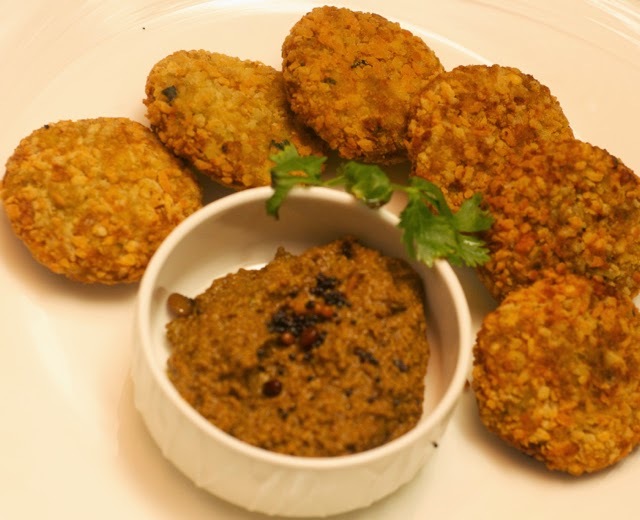 My grand mom would have written it off as the flavours she made for me were almost entirely different, but I am sure many grand moms in Coorg might have praised it!!!! It was a very different attu kaal soup for me and it took some getting used to, but after 5 teaspoons of getting used to, I was used to it. And finished the bowl! And then came the rice! With no rice! Well almost! The first was the coarse part of the rice. That was made into a coarse 'puttu'. And then the slightly finer part was made into a fine puttu. And the finest was rolled into a roti, that they call 'Akki Otti.' 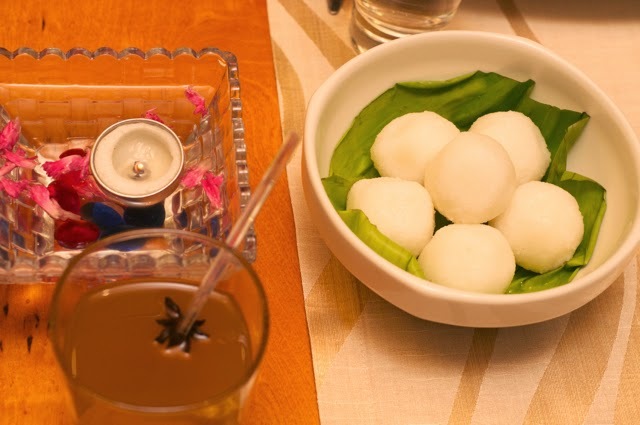 Those white round things are not rasagolla, but a rice puttu! For me, who has been around eating in multiple restaurants over the last week for a variety of reasons, the home cooked type food was a welcome. Friends, beautiful restaurant, home cooked food! Wow! The vegetable sides were perfect and the only things that gave away and had 'Restaurant' written all over it was one of the desserts - a cardamom custard! 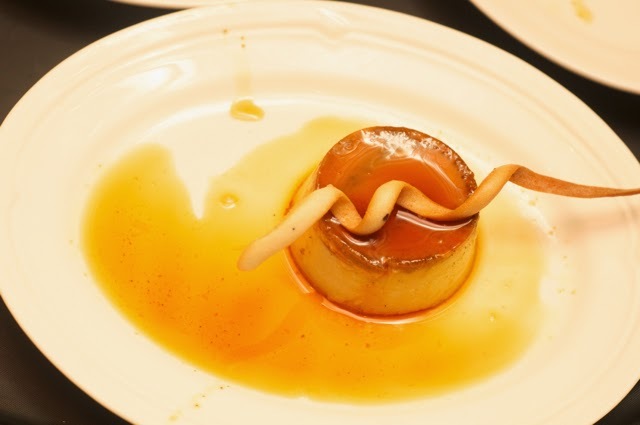 Essentially a caramel custard with an overdose of cardamom, but the overdose was intentional. And nice! 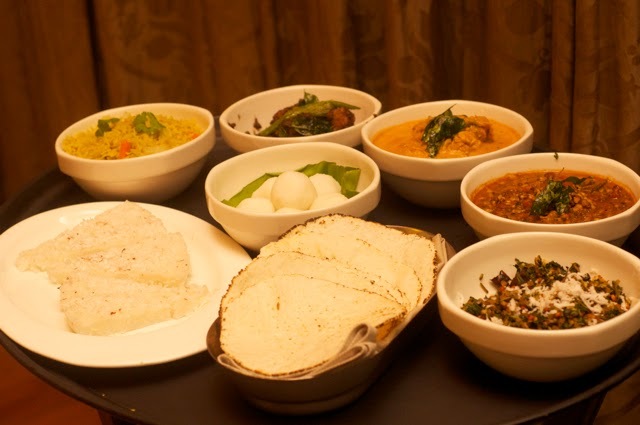 The Kodava/Coorg Food fest by Taj Clubhouse, partnering with Mrs. Smitha Kuttaya, is on till the 28th of Sept!!! 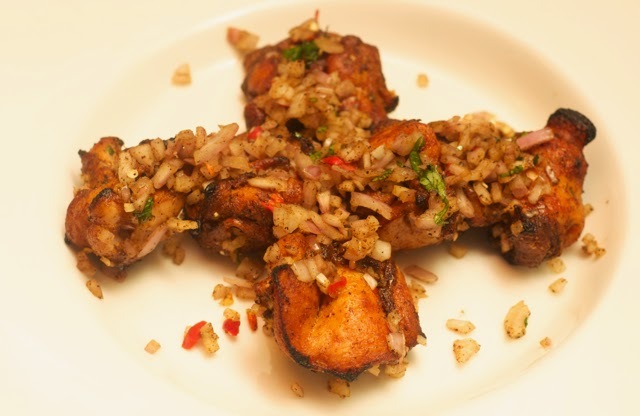 Chennai Foody: To a Coorgi home and back via Taj Clubhouse!